this past winter, as I was continuing with the Dr. Oz challenge, looking for new ways to work out and mix it up and lose the weight, the owner of my gym, who also created the entire Port Rowing crew team in our town, decided to see if adults would be interested in learning how to row and experience what it would be like to race in a crew boat. When I first signed up, I was only going to do the training indoors for the winter, just to add a new workout to lose the weight. At that point, I never dreamed of getting in the actual boats, mainly because I truly didn’t believe that I would ever fit in those little seats in that long, skinny boat. Again, as many other times in my life, I was going to give up an amazing opportunity to try something new and experience something great due to my own inhibitions and embarrassment with my weight and size. On the second night of rowing on the indoor ergs (rowing machines), the instructor asked us if we wanted to go over to the other section and get into the simulator, which was an actual crew boat, set up high with the oars out the sides, placed in front of a long mirror so that you could see everyone and learn to row together in the right form. I hesitated, and let the first group of women give it a try. As I watched from afar, I thought, “Wendy. this is your chance to see if you can do this, just walk over and give it a try in this safe place.” I remember actually asking the coach if he thought that I could fit in those tiny seats. Without any hesitation he said, “absolutely”. When the first group of women finished, I stepped over with the second group to give it a try. I climbed into the boat, sat in the seat, and literally breathed a sigh of relief that I actually fit and was fine. Then I strapped my feet in, grabbed the oar and followed the coach’s instructions, as he got us all rowing in sync. It was a great feeling, and I remember looking in the mirror as I rowed and thinking, I would love to feel what if feels like to actually be on the water doing this. Could this actually be a possibility one day? 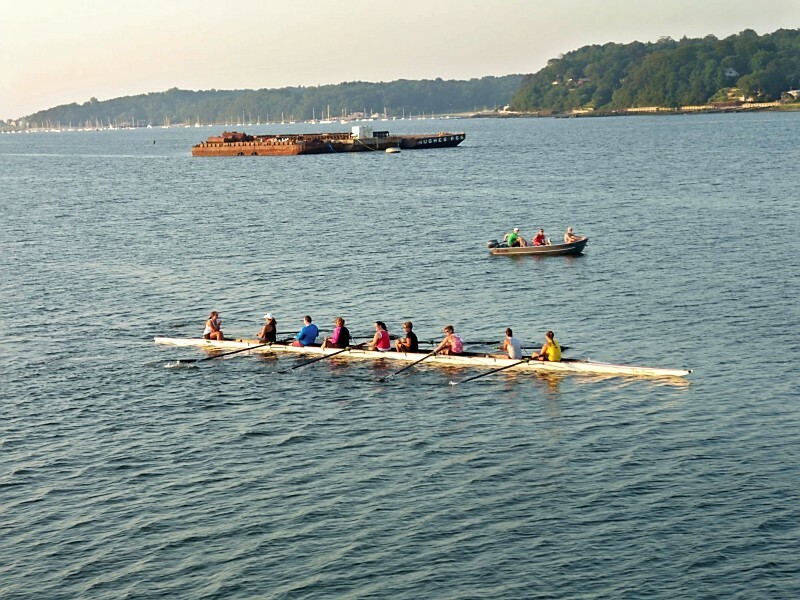 As the spring came, Steve asked if there were enough adults who would like to have an adult rowing team for the month of July, who would actually like to get out on the water, learn how to row, and then we would end with a race night, where we would all get to experience what it feels like to race these boats. Crew is something I have only seen on TV, or in movies, or pictured others doing if you go to elite universities. It is not something that I ever even imagined or dreamed of doing in my lifetime….but here I was, being offered the opportunity to do something I never even dreamed of. Of course, for those of you who know me, I don’t like to do anything alone, so I knew that if I was going to do this, I had to ask friends to join me. My idea, as I first started out dreaming about who would be in our boat was to have couples…it would be a few great nights of rowing with our husbands…rowing mixed in as a date night. At first, I had a full boat of couples, but the real confirmation only came from the wives, when it was actually time for signing up, all of the husbands dropped out, except mine. But, as we have all seen in this journey. even with this situation, God was already orchestrating who would be in the boats, and how it would all turn out each and every week. The first night, my husband and I drove down to the beach with both excitement and fear. We were all broken up into different boats that first night. 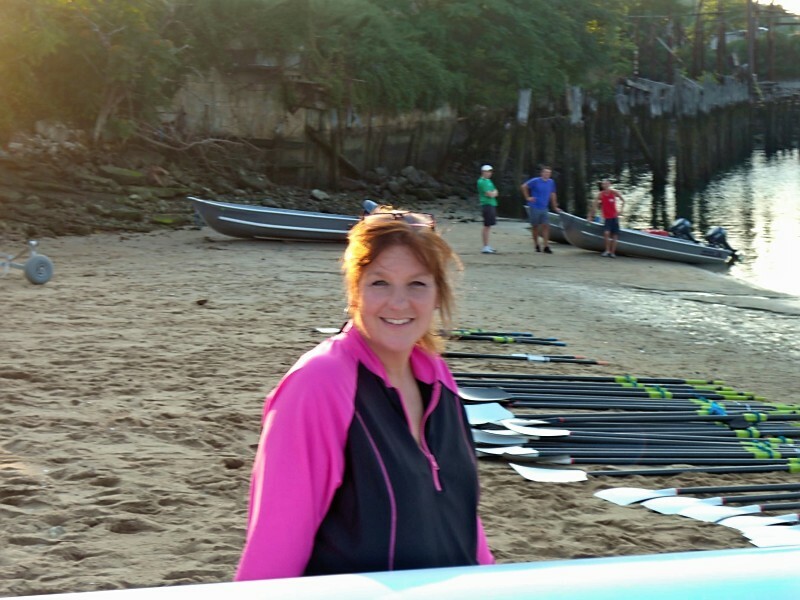 My husband and I stayed together, and the first night was all about learning how to carry the boats and oars down to the water, how to launch the boat, and then when we got out on the water, we had to learn all the basics of keeping the boat level, etc. It was a gorgeous night out on the water, the sun setting was so beautiful, and so many times I just felt so blessed to be out there with my husband experiencing something I had never done before. The coaches were amazing….so patient and so knowledgable in teaching adults how to come together, learn how to row and set the boat, and feel the ultimate experience of having that long boat glide along the water. It really was exhilarating. Walking to the car that first night, I just hugged and kissed my husband and thanked him for doing this with me. I know that he only chose to be there for me, and I know it was also an extra gift that he hung in there after finding out that all of the other husbands chose not to do it. I’m so blessed to have experienced this together with him. The following week we had our team and our coach, Anthony, and we started to learn to really row and set together. 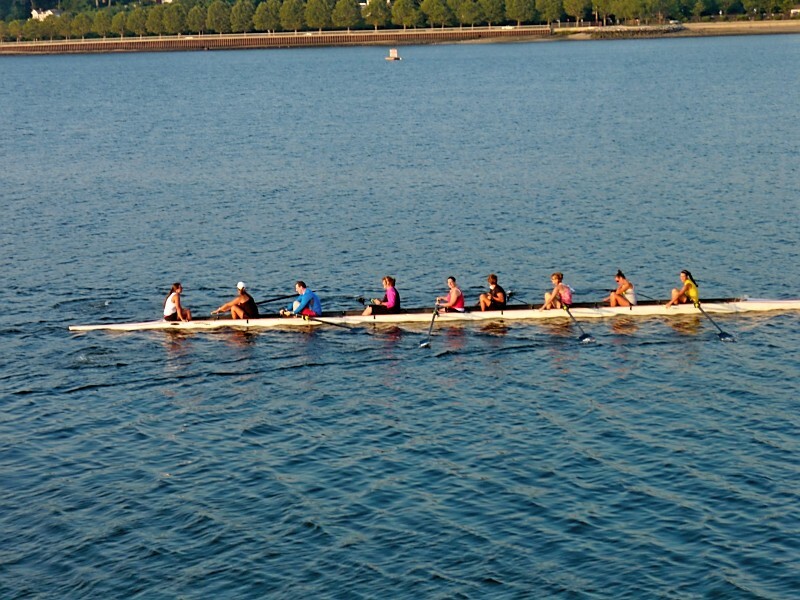 First rowing 2 at a time, then adding in 3 and 4…and ultimately having 8 people row at once. Again, each night, to be out on the beautiful Long Island Sound, gliding across the water, watching the sun setting on the glistening water.. being instructed by a great young man who brought such joy and fun to the entire experience….who believed even on that first night of us being all together, that we could possibly win the final race…the only word I keep saying over and over again…amazing! Each week we learned a little more and tweaked what we learned to make the boat move faster and better. With it being summer, and each of us having various vacations, there were nights that we had to have others substitute in, but it always worked out. Unfortunately, in the last week, two of our teammates, Lorraine and Katie, hurt their backs, and could not row the final week and final race night with us. We, and they, were so bummed. As the final race night approached, we got excited and told friends/family to come down and watch. Pr. Charley (the husband of our teammate, Jean), borrowed a big cow bell so that we could hear him cheering for us from the water, Lorraine and Katie and friends they had just picked up from the airport, from Malta, were all there at the end of a long dock to cheer us on. We got our boat onto the water. Our coach, Anthony, had us row around a bit and get ready for the race. We rowed all 8, down to the marker in the water. The night was beautiful, the sun was still bright, the water glistened, all 4 boats were all practicing and finding their way to the starting line. We lined up against one other boat for the first race. Steve gave the starting call, and we all began to row our best. Our coxwain (the person who sits on the back facing all of us, who also steers),called out the stokes to our first stroke person, (who happened to be her mom)…and we all followed her. My husband, Warren, was in front of me as we rowed. As we pulled and glided across the water, we could hear the cow bell ringing and everyone yelling on the dock for us. As we crossed the finish line, we lost the first race by a boat length. We were bummed, but then found out that that was the boat of adults who had been on crew teams in college and had rowed before. When we heard that, our disappointment in losing turned to being proud of how close we were to them at the finish. We stayed a bit past the finish line to watch the next 2 boats race. Then we lined up to race the winner of that race. We all rowed as hard as we could, our strokes were being called out perfectly. 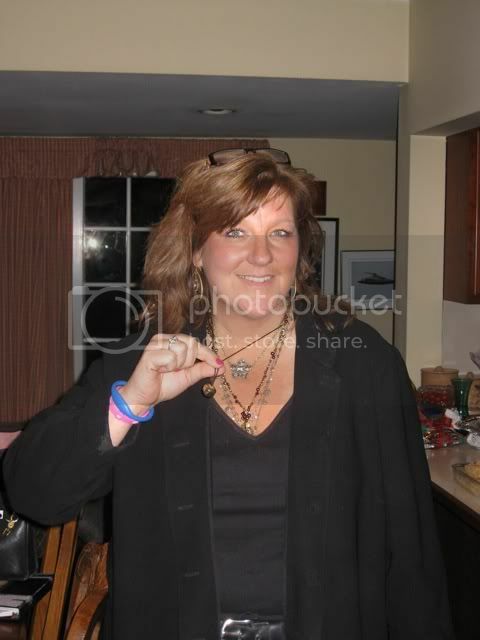 At one point our first stroke person, Peggy, said she wasn’t sure she could keep going….with that, my husband, who never gets crazy about winning, never gets loud….started to shout, “come on, you can do this, just keep going, come on, PULL, PULL, PULL!”, With his powerful encouragement, I pulled harder and harder. Then Anthony yelled to us through his bull horn, “come on, 30 more, 30 more for Lorraine and Katie”, who he knew were yelling on the dock for us, so bummed that they couldn’t be in the boat with us. Then he yelled, “come on! 20 more, 20 more for Lorraine and Katie!” We pulled even harder, I was sweating, my legs were burning as they pumped, and we were all in sync gliding so fast across the water…we could hear Anthony shouting, we were yelling to each other, we could hear the cow bell and all of the yelling from the dock as we got closer….and then we heard Anthony yell, “power10!’ (10 strokes to go, give it your all). Well, we all did….the paddles were stroking together, the boat was ripping across the water, and as the excitement and cheering and cow bell got louder and louder, we saw the finish line pass us!!! Then, we looked up to see how we did….we looked ahead to see if anyone was passed us…no one…then looked behind and counted 3 boats….WE WON!! 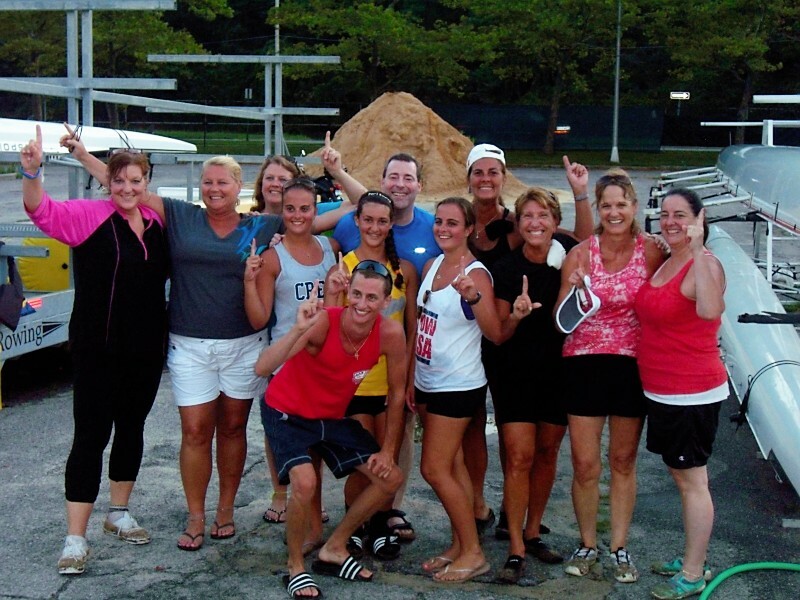 We beat everyone, including the boat of real rowers…I felt like we were in the Olympics, and just won a gold metal! We passed down high fives along the entire boat, we screamed and whistled back to everyone on the dock….then we rowed back into the beach soooo excited at what we had just accomplished! It was the GREATEST feeling! I still get chills when I think about it. As we came to the beach, our great “cheering section” met us and said they got great pictures. They continued to take more as we came onto shore and put the boat away. We took our team picture, and we all got together to thank Anthony for taking a bunch of adults who knew nothing about rowing crew, and with his amazing patience, along with his gifts of teaching, coaching and laughter…brought us to first place….we took the gold! 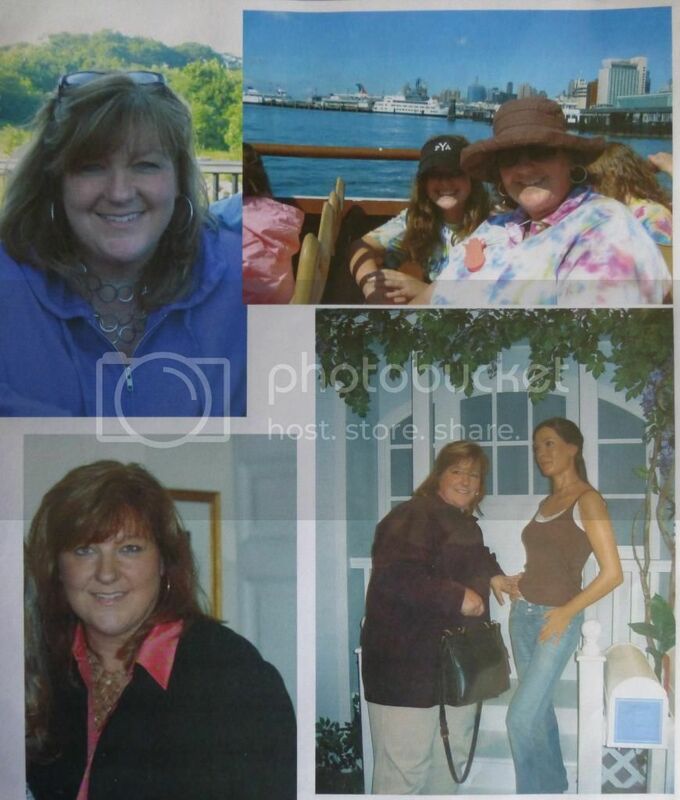 An overweight woman who was sure months ago that she would never get in that long small boat with little seats, was sitting behind her husband in a crew boat… yelling, whistling and celebrating…with the hugest smile, taking in all that just happened…thanking God for another amazing moment in this tremendous weight loss journey. As we walked to the car, I just stopped and threw my arms around my husband and thanked him so much for doing this with me. Everyone loved having a guy in the boat, and he really got everyone to work hard in the end, during the last race, as he shouted to encourage us all to keep going and work through it. But most of all, we got to experience something new together. We got to have our “date nights” rowing and exercising together, and we got to do something we never even dreamed or imagined doing. And the best part of accomplishing something new that I never dreamed of, it increases my faith and hope and belief that I can do something else that I never thought I could do. Can’t wait to see what that will be….starting to believe the sky’s the limit!